Minister of Economic Affairs Kadri Simson (Center) is looking forward to seeing the text of the planned motion of no confidence against her, and continues to deny any notion of a conflict of interest in the way she runs her ministry's policy areas. 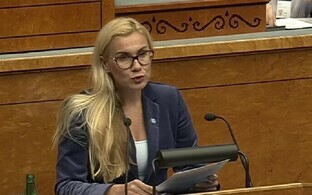 Simson has been accused by the opposition parties as well as daily Postimees of having given personal interests preference both in how the government has handled support payments to the pig farming industry as well as how her ministry is setting up the public transport scheme for Estonia's counties. Her partner, businessman Teet Soorm, is in the pork business. It is this area where daily Postimees first identified what they thought evidence of illicit state support, although the paper's claims so far haven't led to any action taken against the minister. Simson has described the paper's articles as a campaign directed against her person. She as well as other government members have rejected the idea of corruption or nepotism in the way she has carried out the tasks of her portfolio. "Accusations concerning a possible conflict of interest in the agricultural sphere have already been disproved over previous weeks," Simson told the Baltic News Service on Monday, commenting on a motion of no confidence the opposition parties are planning to file against her. "If the Reform Party wishes to discuss the topic of free county bus transport, I'm always ready," she said. "I'm not surprised by the Reform Party's indifference and contempt toward promoting rural life, but this does not mean that the current government should also sit idly and let life in the countryside fade away. We want to make county bus lines free, as this would help improve people's mobility and decrease their expenses on transport," Simson added. Simson said that the Reform Party's claim that making county bus routes free aimed at increasing the income of bus companies does not stand up to scrutiny. "Bus companies receive fixed fees by route kilometers, and their income is not dependent on how many people use the route," Simson said. She added that she is looking forward to seeing the text of the opposition's motion against her. "It is difficult to comment on a possible motion without seeing the specific text," Simson said. 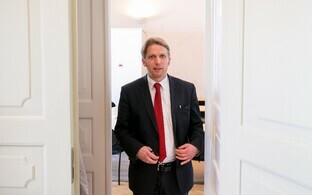 The minister also quipped that Reform chairman Hanno Pevkur's handing in this motion wasn't without a certain charm, seeing as he was about to undergo something similar in his party.